gotta love getting a critical error and having to reboot PC completely (yes my PC is old get over it), and then getting a penalty.... Thanks WG! Sorry to say it but that's working as intended. Just work it Brother, Work it off and Move on. It's only going Orange that it becomes a real problem. WG finally did something about the afk/early quit issue, and we're just glad they did something. Besides, play a few battles well, co-op or random or ranked and the pink's gone. Not a big deal. ... even though it was something wrong. Your old PC put your team at a disadvantage when you went AFK. I think you should follow your own advice and get over the penalty. "(yes my PC is old get over it)"
It's a warning not a punishment. Additionally, most players don't experience super unstable, crashing every few hours issues. Have you checked your graphics selections in the game settings? You may need to lower them as your PC may not be able to handle anything above low. If not that you may need to reinstall the game? I remember a time when you had to walk into a actual store to buy PC games. The boxes had this list of system requirements printed on them. I never bought a game where I did not meet or exceed the recommended requirements. Minimum requirements are only what is required to install and possibly load the game. If the age of your computer is a possible reason for crashing, then it's probably time to upgrade. I don't think he was talking to you. My laptop is almost 3 years old and I have none of those issues. It's not a gaming rig either. Most of my clan doesn't experience these issues either but when someone does these are the first things we typically start checking to see if it resolves the issues. OP has an older machine so these could be valid issues for him. Yeah he was because ...I have dealt with others like him in my own set of threads about this very same issue. 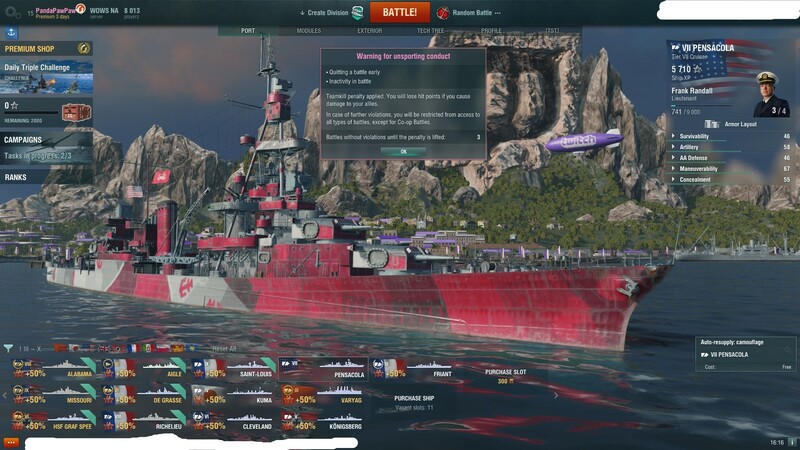 If WG is going to penalize AFK/DC then they should compensate for the constant crashes. Update: see 1SneakyDevil's reply implying that I can some how fix WG client to get it to stop crashing. I got to love the "customer support" types who can't recognize that sometimes the fault really does exist. That said, notice that WG is moving to a 4 week release schedule....this is a clear admission that QA was lacking on a 3 week release schedule. If WG can admit that they have quality control issue, how come the "customer support" types on forum have such a hard time? Remove all unnecessary software and then run defrag. If you don't know what defrag is, that's part of your problem. Windows 8 and onwards: The OS does it during its weekly maintenance schedule, so doing it manually is usually not very effective. It has been renamed to Optimizer in Windows 8. To access it, Search for 'optimize' in the control panel search box to find it under Administrative Options. It is not needed usually in Mac or Linux, or on smartphones. The first step of troubleshooting and trying to resolve an issue with a computer is to check the computer that is having the problem. The software is way down the list, outside of maybe a clean install to ensure everything ON THE PC is right. WG may have a problem, but in 6 months, running WoW on a middle of the line PC, I have had it crash 1 time (excluding when I messed up some mods). Does that mean they have a perfect program? Nope. A couple people having a constant problem when others are running fine, doesn't exactly point to a quality control problem either. The schedule change could be for any one of a hundred reasons....pointing it to quality control isn't at the top of my list, but to each their own. I wasn't talking to you. I was referring to the OP. Check your assumption at the door.